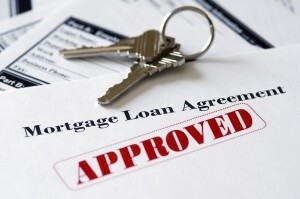 Mortgage Pre Approval. Buyers first step towards a home purchase. When you are ready to purchase a home, it makes sense to negotiate from the strongest position possible. In a strong real estate market, sellers can be more selective in the final buyer they choose to negotiate with. In such a crazed seller’s market, it’s not uncommon for a home seller to receive multiple offers on their property. With that said, there are certain things you can do to make certain that your offer is the one Seller goes with. Mortgage Pre Approval is one of them. Let’s look at this from the Seller’s perspective for a moment. If you were the Seller and had multiple offers on your property, all things being equal, would you accept the one with Certificate of Mortgage Pre Approval or the one that was still Conditional on Financing? The answer is obvious. Why then, do so many buyers wait to start the Mortgage Pre Approval until after they have found the home? What I have found is that those buyers are usually very good, qualified buyers and are not worried about getting Mortgage Pre Approval. Even though they usually are correct and will ultimately be Approved, the Seller in most cases has no guarantees. Lastly, from a cost savings perspective… As a prospective purchaser, it makes all the more sense to start the Mortgage Pre Approval early on so you can get a firm handle on your interest rate and an estimate of points and closing costs. If you do this before finding a home, you are not under any time constraints and are less likely to overpay like a buyer who has found a home and is under strict time constraints. If you are interested to have access to this obligation free Mortgage Pre-Approval Services, please fill and submit the request form on this page. In the “Notes” box include a code “pre approval” . If you have any specific requests, type them in the “Notes” box as well. We will forward your information to one of our preferred mortgage professionals who can assist you in locating the absolute best mortgage rate and lowest closing costs possible. The provided information is absolutely no cost and obligation free. This is not a subscription to a mailing list or a newsletter. It will grant you access to sources and MLS information shared with other users. Enjoy this obligation free Mortgage Pre Approval Services. Thank you in advance for emailing this page to friends and colleagues and sharing it on your favorite social media networks. Please use the “share” buttons below.